At The Heart of South Africa At the heart of South Africa lies Johannesburg, an exciting and cosmopolitan city that is brimming with history and culture. So why is it only viewed as mere stop off for passengers on their lengthy journeys across the country? My advice would be to leave the terminal and go out to explore all that South Africa’s largest city has to offer. If it’s an education you’re after, look no further than the Apartheid Museum in Gold Reef. With a series of twenty two exhibitions, the museum takes visitors through the complete history of the country’s dark past, from the beginning of the apartheid regime in 1948 to the release of Nelson Mandela in 1994. This is a must on any trip to the city. 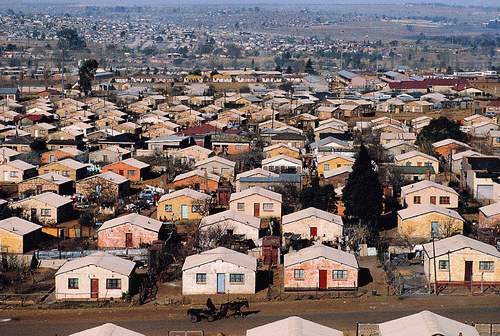 The nearby district of Soweto is also well worth a visit to further an understanding of the apartheid system. On 16th June 1976, Soweto was the attention of the world’s media as mass protests took place against the government’s policies. With twenty three deaths and extensive violence, this event will be forever embedded in the country’s memory. Today, Soweto is home to The National Nelson Mandela Museum. Made out of the former house of Nelson Mandela and full of his personal artefacts, it is no wonder that this is one of the most popular museums in the whole of South Africa. Residents of Soweto conduct private tours of the museum. So Johannesburg provides tourists with a stark reminder as to the country’s dark past. But what about the present? Nowadays the city is considered as the business capital of the country; high risers dominate the skyline. Eating places in Johannesburg are also second to none. For an authentic, South African experience head to Moyo in Zoo Lake. Ostrich Bebe and fillet khuzwayo are their signature dishes. Moyo also offers fantastic live and authentic African music to accompany your meal. In Johannesburg you are likely to hear some Kwaito songs (a genre of music that derives from the city). For something a little quieter, look no further than The Grillhouse in Rosebank. With attentive service, classy décor and the best steaks around, this place is not to be missed. Or how about something exotic and colourful? Coco Bongo is the place to be. Enjoy fine wines, royal rib racks and delicious cocktails before you dance the night away to upbeat, live music. 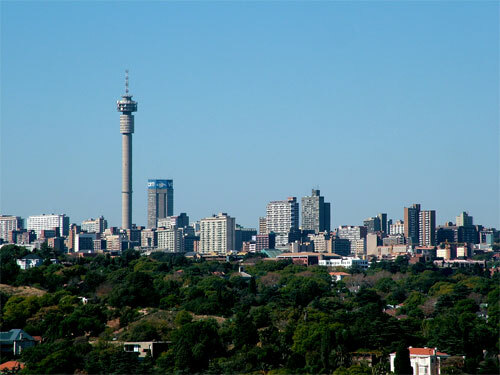 Johannesburg is home to some of the best shops and shopping malls in the country. For upmarket clothes shops head to the Sandston shopping centre or Nelson Mandela Square. However, for a glimpse into authentic South Africa, Rosebank Flea Market is the place to be. Carvings, textiles, ceramics, hand made jewellery, spices and local food are all at your disposal. It’s perfectly acceptable to engage in a good haggle too. With so much history and culture, it’s clear that Johannesburg is far more interesting and enticing than Johannesburg International Airport. So be adventurous and explore all that this fantastic city has to offer.